Along with fleshing out the specs of its new Snapdragon 820 high-end chipset, Qualcomm took to the airwaves today to unveil its new processors for the midrange and entry-level mobile devices of the future. Nestled in the 6-series and 4-series, the two new chipsets introduce plenty of novelties that would make phone designers go "hmmm" before they turn to rival gangs like MediaTek. Starting off with the lower-end Snapdragon 430, this one is an octa-core Cortex-A53 undertaking, clocked at 1.2 GHz, with upgraded Adreno 505 graphics processing unit, and dual Image Signal Processors, supporting up to 21 MP cameras. Yep, in a low-end chipset. Not only that, but the 430 supports Qualcomm's new Quick Charge 3.0 technology, which can juice up your handset 80% in half an hour, should the maker decide to enable this function of the chipset. To top it all off, Snapdragon 430 supports X6 LTE, with Cat 4 downlink speeds of up to 150 Mbps, and 2x10 MHz Carrier Aggregation, plus Cat 5 uplink speed of up to 75 Mbps for the first time. The new midrange star, Snapdragon 617, will battle directly with MediaTek's creations, as it is an octa-core Cortex-A53 setup, clocked at up to 1.5 GHz. It, however, ups the ante not only in MHz speed, but in connectivity as well, sporting the new X8 LTE modem, featuring support for Cat 7 download speeds of up to 300 Mbps and upload speeds of up to 100 Mbps using bi-directional 2x20 MHz carrier aggregation. It has dual-ISP configuration as well, that can power up to 21 MP cameras, and Quick Charge 3.0 is par for the course. Snapdragon 617 will appear in phones as soon as this year, while Snapdragon 430 models will be hitting shelves in the second quarter of next year. It's getting cluttered. 620 is good or 617? 820 - unknown configuration - Flagship. 620 - quad A72 + quad A53 - Upper midrange. 617 - 1.5 octa A53 - lower mid range. 430 - 1.2 octa A53 - entry level. To tell the truth, I like this. Well is not they bad but lets not forgot that 200,400,600,602A,800,801,805 are quite outdated by now. Qualcomm....wtf? 8 core @1.5? how about 1.7 at least? Big cores make them more expensive. Real contender to these octacore A53 chips is Helio P10. I doubt that SD620 and even 618 would be close it cost wise. 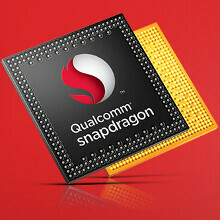 Faster GPU and faster CPU will make it more attractive against Qualcomm counterparts IMO. QC ones has some nice features, but considering most of these will be implemented in budget phones manufacturers probably will not add Quick Charge 3.0, eMMC 5.1 and dual 21MP cameras. Octa-core + BigLITTLE Wrong philosophy dooms these processors to fast throttling and inconsistent performance. The writing has been on the wall for this configuration since before it even released. It makes absolutely no sense given the diminishing returns of using multiple cores, the waste being extra heat which a contained unit like a smartphone should not have to deal with. Heat leads to loss of performance AND LESS BATTERY LIFE, which is absolutely plain to see in the pathetic results from Snapdragon 808 and 810 devices. Big Cores produce better real world performance. iPhones do not lag under any circumstances because Apple has used this philosophy since their very first custom SoC. Exactly quad core is more than enough dual cluster is worthless more cores don't mean to be faster cores only add to multitasking unless apps can use 8 cores with many don't and anyway you don't even need that much power in CPU part it's not like you covert movies with your phone or sth. Hell yeah the Snapdragon 617 is battling Mediatek, especially in the "Terrible GPU" category. Seriously, why give the (supposedly) better GPU to the 430? Shouldn't the 617 be the better chipset? Because Snapdragon 617 will be quite old by the time 430 is released in the market. Snapdragon 630 will be Qualcomm's representative at that time in the upper mid range segment and it sure has a much more powerful GPU than the 617. Yeah but by the time 430 is available 617 will be quite old. so the lower tier prossesor comes with a higher gpu than the supposed midranger?? ?